Happy Tuesday! This week's Tuesday Throwdown challenge is "More Than One Fold." 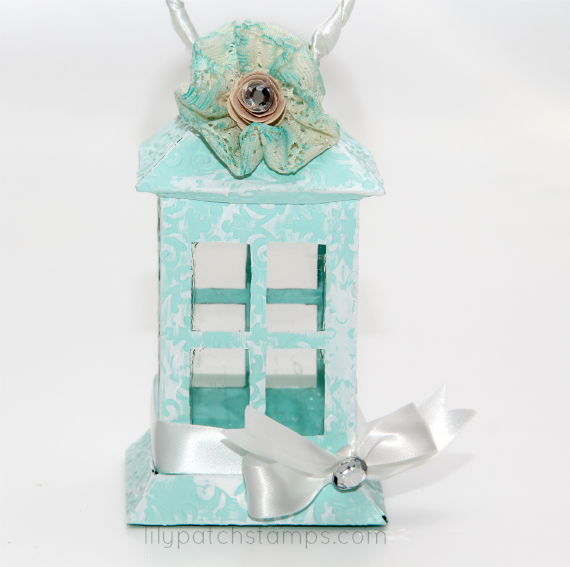 I am using this awesome Enchanted Lantern cut file provided to me by Creations by Ar. This was the first time I've used their product and I am loving it! The lines are clear when I printed the pattern out. The instructions that accompanies the pattern is very clear to understand. After I printed my patterns files, I cut and embossed the cardstock. I then added some white paint for a distressed look. The handle was a piece of wire I wrapped in satin ribbon. I also distressed the lace flower using ink. The last thing I did was added a bow at the bottom of the lantern. I also added clear acetate for the windows. I felt this gave the lantern more stability. The TT DT has also created some beautiful projects using Creations by Ar's patterns. Please visit the TT blog to view their projects and enter to win a fantastic prize from our sponsor. This is so soft and pretty- love your DP- and how cool to add acetate for the windows. Love this project- and what a fun challenge! I Love your lantern Kim!! The dp and pretty lacy flower make it SO feminine ;) GREAT job!! Oh Kim this is beautiful I love the papers you chose and the pretty bows you added. Wow so gorgeous Kim. Love the details and colors. 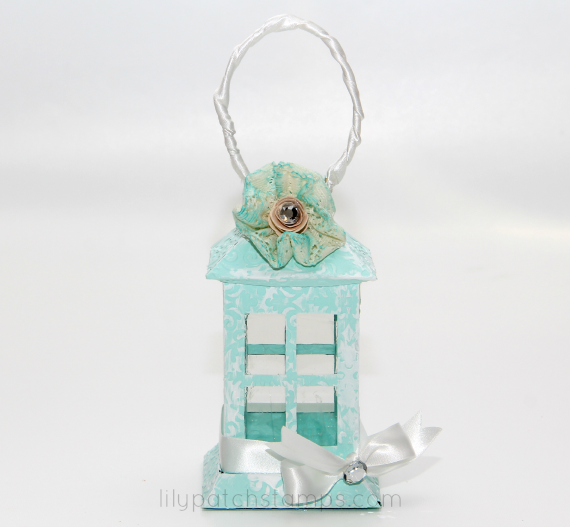 So loving this enchanted lantern. Kim this is so beautifully creative. 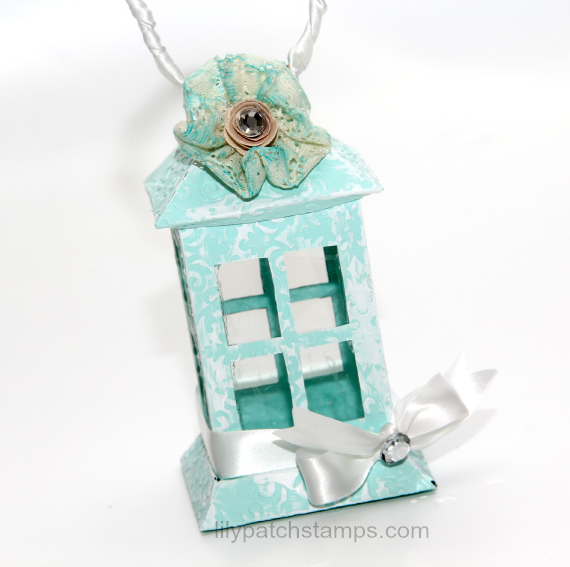 Love the vibrant Aqua colours and the ribbon and flower is the perfect touch.